A combination set of Minamoto Kitchoan's highly popular senbei cookies. 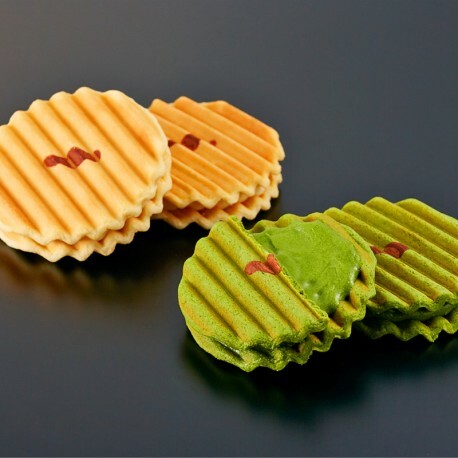 The original "Fukuwatashi Senbei" has a light layer of sweet vanilla cream between zigzag shaped senbei cookies. The "Fukuwatashi Senbei Matcha" has sweet but bitter green tea cream sandwiched in green tea flavored cookies.